1. Who should you address the letter to? It is advisable that you always address the letter to the relevant person looking after the recruitment. If the job description does not specify, ensure you find out their name. You cannot underestimate how much value your letter can add to your application by simply submitting a covering letter addressed to the relevant person. It shows that you made the effort and it will certainly make you stand out from those that submit a generic one. In the first paragraph you should begin by stating your current role or stage of studies if you are a student, the role you are applying for and where you have seen it advertised. This makes a great introduction that leads on to your relevant skills and experience in the next paragraphs. The second paragraph should clearly explain what has attracted you to this specific role and how this role fits well with your previous experience as well as your career goals. To tackle this part of your covering letter, you will need to conduct a thorough research into the employer and glean your reasons for applying. It is important that your reasons are linked to your skills and attributes and you make it clear how this can be valuable to the prospective employer. In paragraph three you must outline your experience to date and what you have learnt from it that is relevant to the job. If for instance you are junior with limited or no relevant experience, we would then advise that you focus on your achievements and how the attributes gained from those achievements can be carried across in the next role. If you have undertaken specific courses such as legal secretary courses or even paralegal courses, you should mention it here, especially if you are applying for such roles and you do not have any previous experience. Paragraph four should summarise all your relevant skills, experience and achievements and how all this when put together makes you an ideal candidate for the role. This paragraph needs to be sharp and to the point, so therefore, focus on your most relevant skills and experience only, because that is what will catch recruiter’s attention. In your final paragraph be sure to thank the recruiter for taking the time to consider your application and provide an option to contact you should they have any questions or wish to arrange an interview. You should also include your contact details such as your email address and phone number, so they know how to contact you. 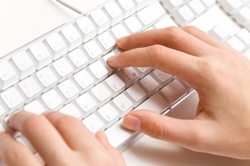 It is important not to underestimate the value of a covering letter for a job application. Some recruiters even argue that a strong covering letter sometime can make up for an average rated CV. The bottom line is that recruiters appreciate the effort put in to draft a letter, particularly when it is not a requirement, therefore use the opportunity to your advantage and impress the employer. We hope you will find this guide insightful and, more importantly, useful for your job search when drafting covering letters.